Have You Remembered Someone Yet? Good news for a Friday afternoon. 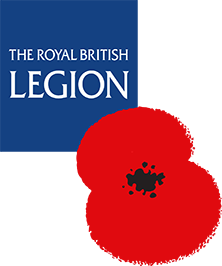 We’re absolutely delighted to let you know that – thanks to an amazing effort from the public and Glyn Swadlincote Royal British Legion- the target for Every One Remembered has been reached! Every One Remembered was a completely new way of involving the public in Remembrance, by giving people an online platform where they were able to search for any name on the homepage and follow a couple of simple steps. Visitors to the site were able to plant a poppy, write a remembrance message and even upload photos and stories of their own. The target was a very ambitious one, trying to get over a million of The Fallen from WW1 remembered individually online before Armistice Day 2018 but, thanks to a colossal effort from a lot of people, we have reached thetarget with time to spare.